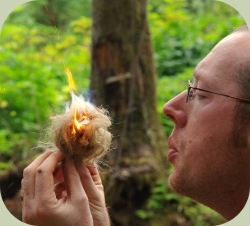 Learn how to create fire with natural materials! This course covers bow drill, hand drill, and flint & steel techniques. Each participant builds a bow drill kit to practice with and take home! 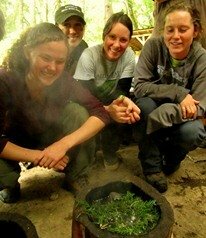 An understanding of fire making skills can be a life-saver in a wilderness survival situation. From warming a shelter, to purifying water, and cooking food, survival fire skills are an essential tool for cool climate environments. The class includes demonstrations, practical information, and hands-on practice. "The survival fire class was fantastic! A great way to spend a Saturday." "Loved it. Super Fun. Thank you!" "I went from city boy to survival fire making man!"